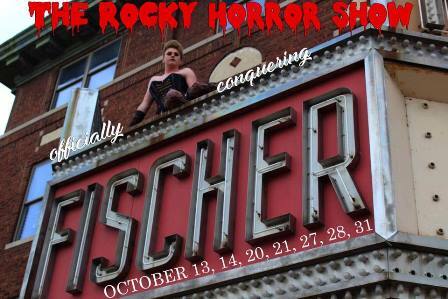 DACC Players and The Fischer Theater present The Rocky Horror Show on October 13, 14, 20, 21, 27, 28, & 31. All tickets include a special pre-show event each weekend. Check tickets for pre-show start times. All performances of "The Rocky Horror Show" will be at 10:00 pm for all performance dates, including Halloween. All proceeds will equally benefit the DACC Players and The Fischer Theater Restoration! For more information, please visit www.daccplayers.com! A. Varies with the weekend. Please see each weekend's ticket. A. The Fischer Theater is fully handicap accessible for the show. However, some of the pre-show events may not have full handicap access. A. All seating is general admission.